* within 20 minutes of downtown Philly? After years of officiating weddings in the Mainline area — and years wracking my brain trying to come up with an outdoors location that meets all these criteria — I have finally come up with the perfect venue! 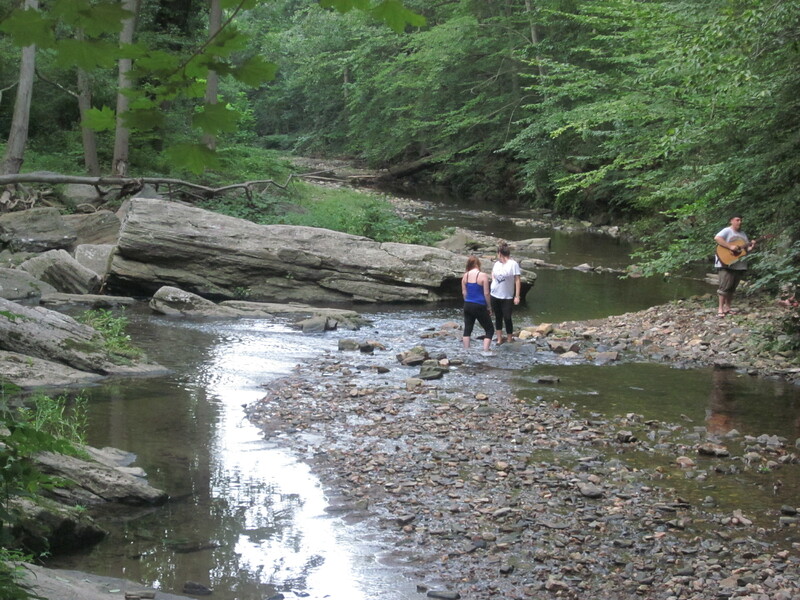 I think of it as Philly’s Best Kept Outdoors Wedding Venue Secret. Most amazing of all: It is free. Rolling Hill Park is an exquisite natural park nestled in the winding roads and soaring mansions of Gladwyne. 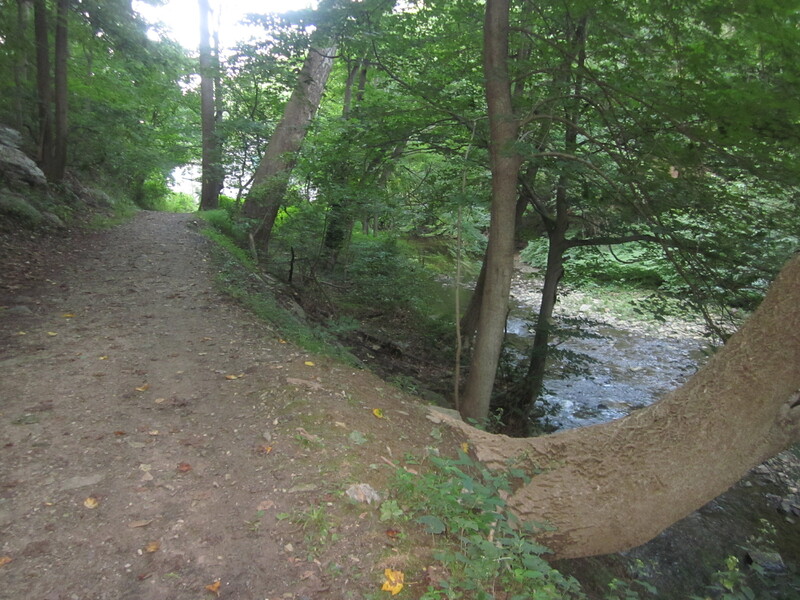 The park itself is made up of winding dirt paths that travel for about a mile down to a riverbank. The walk passes by several abandoned rock homesteads dating back to the 1800s, which would make fabulous background vistas for photographs. And, because the land is not private (it is owned by MontgomeryTownship), there is no multi-thousand-dollar facility fee. Wow. All the times I’ve been hiking there, I have never seen a small wedding party there. Heck, I hardly see anyone at all — just the occasional local running his or her dog off leash, and even more rarely than that, an equestrian riding his or her horse on the trails. Apart from the sound of an airplane passing overhead now and then, the only sounds are crickets, cicadaeas, and a cacophony of birds. If you love nature, are on a budget, and just want a short, sweet, simple wedding — this is the place for you. Keep scrolling to see some snapshots I have taken of different places where you could gather to exchange your vows, as well as idyllic places to pose afterward for pictures. I am able to offer short, simple but heartfelt wedding ceremonies or vow renewal rituals that are either “spiritual” in nature, or lean more toward the secular humanist side of the spectrum (ie, no “god” references). Email me at joysa@aol.com for rates, date availability, and more details. This is the first place, near the parking area, where you could exchange vows. It’s a very short walk, so is ideal for a group in which guests have limited mobility. 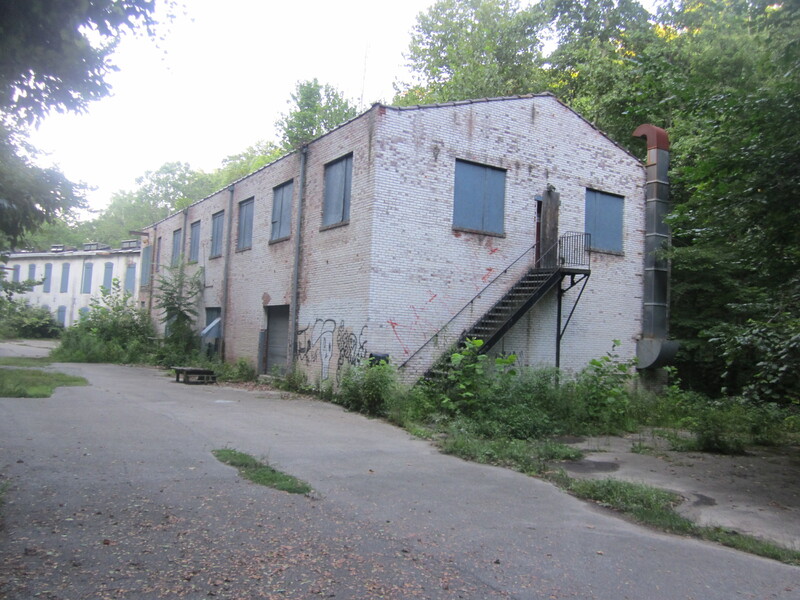 The woods extend behind it, and there are usually no people here. 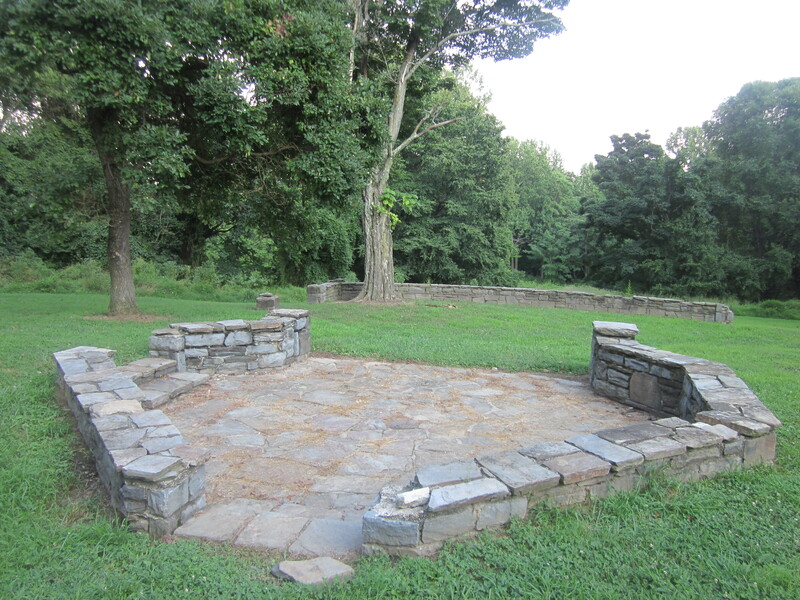 This is an area along the trail, by the river, where a group could gather to hear you exchange your vows. The sound of the trickling stream is right beside you here. If you were feeling really adventurous, everyone could take off their shoes and you could wade out into the rock bar and exchange vows in the river itself! On the day I was here taking pictures, a few friends were hanging out and playing guitar. I love this as a place to exchange vows. 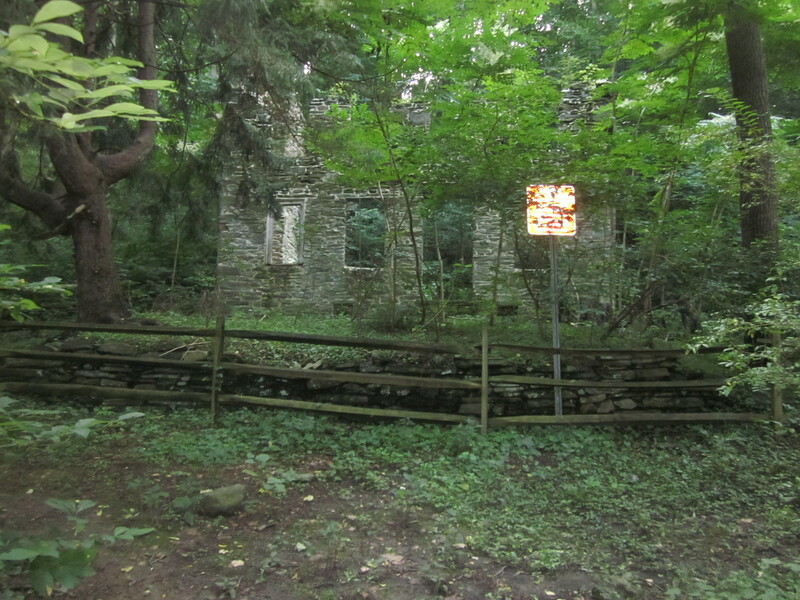 It is one of the abandoned homesteads that had been occupied by the families that worked at the sawmill. You could stand here, with this as your backdrop, looking at the river while you exchange vows. Nestled in the trees, it reminds me of a set from Lord of the Rings or a Grimm’s fairytale. What was this? 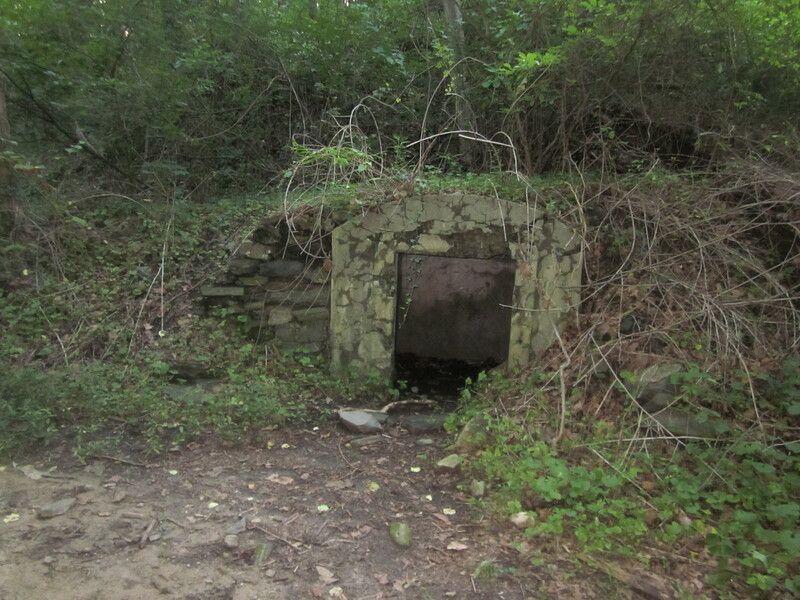 An old cellar? Not sure. Another nice backdrop for a photo. 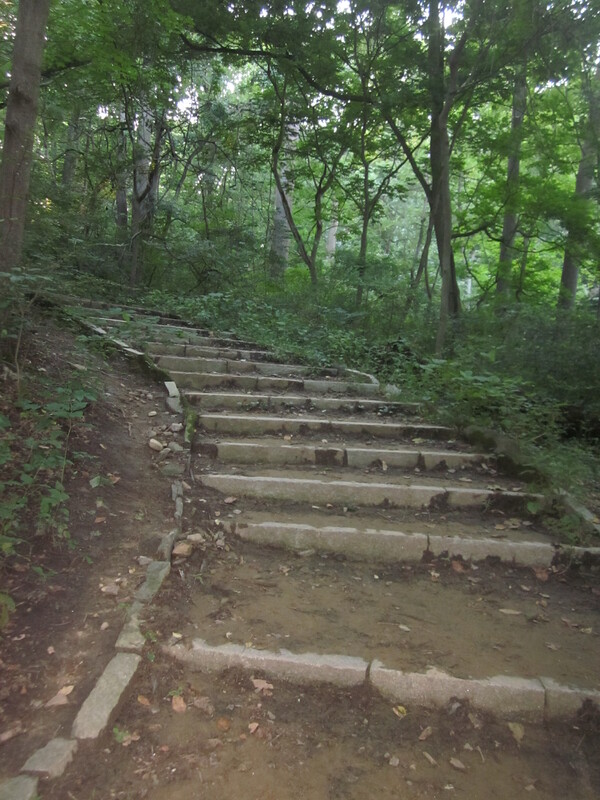 On the way back to the parking lot (away from the river), you pass by this wood-made stairway, cutting up the hill. It would make a beautiful place to stage a wedding party or stage wedding guests for a group photo. I am able to offer short, simple but heartfelt wedding ceremonies or vow renewal rituals that are Jewish, “spiritual” in nature, or lean more toward the secular humanist side of the spectrum (ie, no “god” references). I have suggestions on places where you could go afterward with your wedding party to eat, as well as practical suggestions for making this venue idea work for you and your guests. Read a few reviews from happy couples I have worked with at the Knot here. Email me at joysa@aol.com for rates, date availability, and more details. Please state in your subject line/email that you are interested in a Rolling Hill Park wedding (or vow renewal). Cheers, and congratulations on your happy event! Budget weddings in Philly: How much does a wedding officiant cost?